The precision-engineered Wolf Tooth Seatpost Clamp secures your seatpost and looks good doing it. 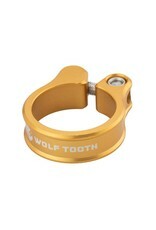 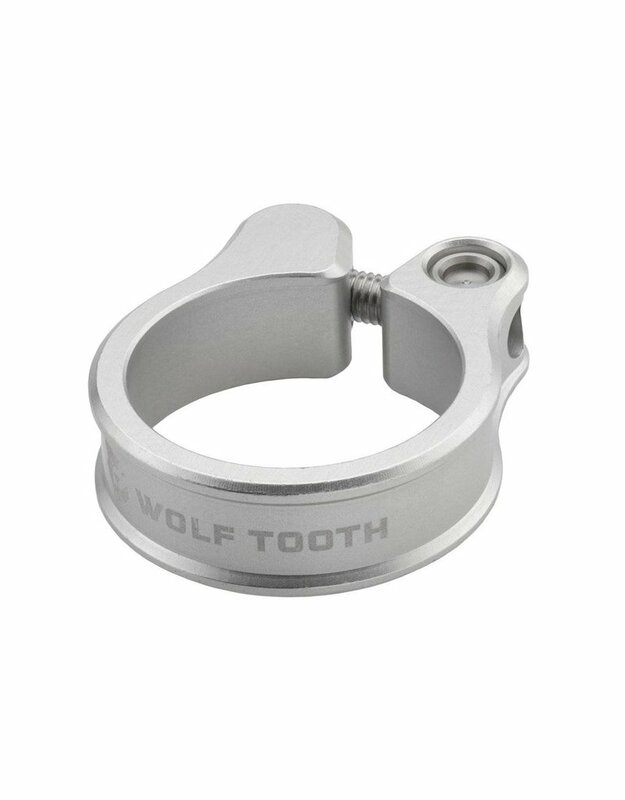 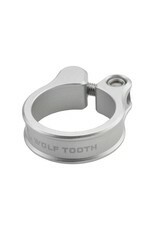 At the heart of the Wolf Tooth Seatpost Clamp are our custom self-aligning bolt and anchor. 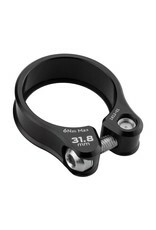 The M5 bolt includes spherical washer and mates with a cylindrical anchor barrel. 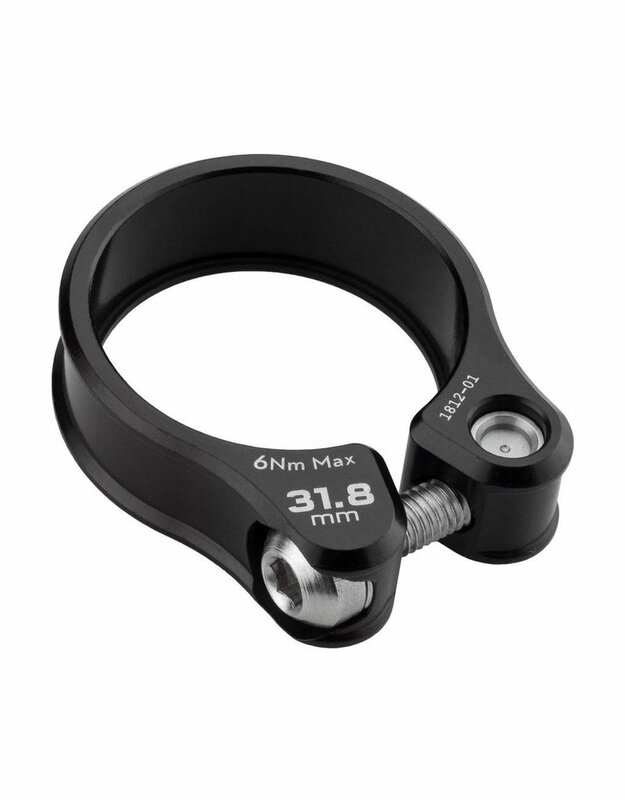 This means that threads are always perfectly aligned, preventing binding and ensuring consistent clamping force. Machined from 6061 aluminum in our Minneapolis facility, the Wolf Tooth Seatpost Clamp is available in four sizes and eight anodized colors. Weights start at 18g.